Learn how North Carolina and the federal government are addressing the epidemic. 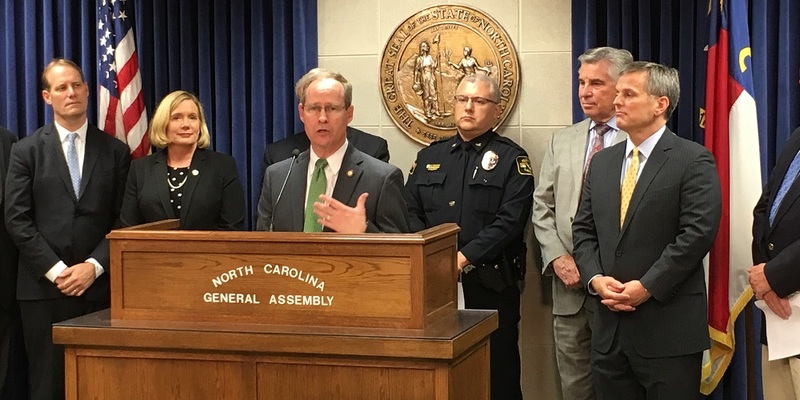 North Carolina has responded to the opioid epidemic with three recent laws drafted by Attorney General Josh Stein’s office and sponsored by Representatives Greg Murphy and Craig Horn, Senators Jim Davis and Tom McInnis, and other members of the North Carolina General Assembly. The Synthetic Opioid Control Act (2017) helps law enforcement authorities go after fentanyl traffickers by ensuring that all derivatives of this deadly drug are classified as controlled substances under state law. In North Carolina, our counties, cities and towns have been actively addressing the opioid epidemic through a wide range of creative initiatives and strategies. Have an Opioid Action Plan? Learn more about the Opioid Action Plan here. The Opioid and Prescription Drug Abuse Advisory Committee (OPDAAC) works to implement the Opioid Action Plan. To learn more, visit the OPDAAC website here. Prevention strategies aim to stop substance misuse before it starts. Intervention strategies seek to identify and assist specific individuals who are at risk or in trouble. Through treatment and recovery, people with substance use disorders work to stop using harmful substances and to heal themselves, their relationships and their lives. Harm reduction strategies save lives and reduce the spread of disease by distributing naloxone, operating syringe exchanges and connecting drug users to treatment and other services. Law enforcement authorities work to stop diversion of prescription drugs and trafficking in illicit drugs. Many in law enforcement now carry naloxone to reverse overdoses and support efforts to deflect low-level offenders with addiction issues into treatment. Learn more about the federal response here. The National Institutes of Health—the nation’s leading medical research agency—is helping address the opioid crisis by seeking new and better ways to prevent opioid misuse, treat opioid use disorders and manage pain. Learn More about their efforts here. The Centers for Disease Control is also working to protect public health and prevent opioid overdose deaths. Learn more about their ongoing efforts here.